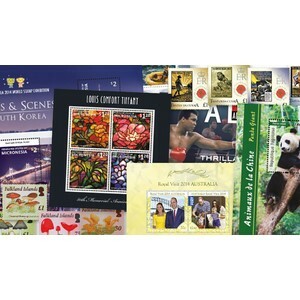 Benham offers an unrivalled service supplying mint new issues from around the world. If you collect by country please register your interest in the form here. We offer an extensive range of countries including Australia, The British Antarctic Territory, Canada, The Falkland Islands, Gibraltar, Great Britain, Guernsey, Isle of Man, Pitcairn Islands, South Georgia and many more. Please enquire for these clubs or any other countries you are interested in.